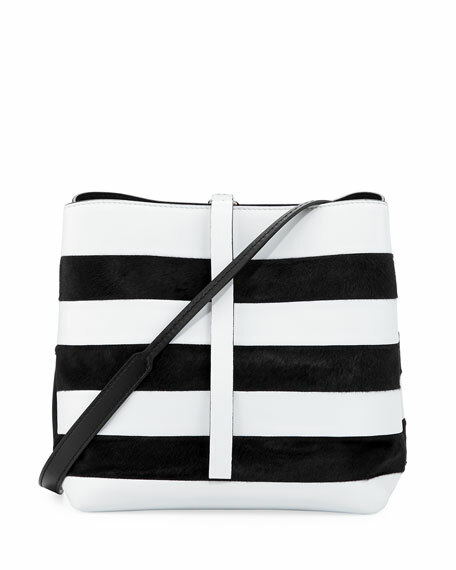 Proenza Schouler "Frame" striped leather and dyed calf hair (New Zealand) shoulder bag. 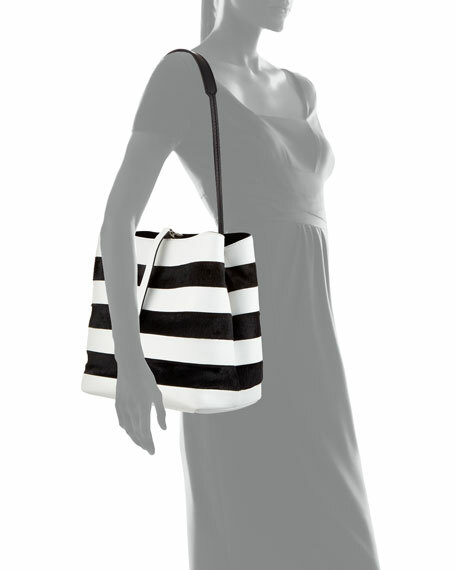 Flat shoulder strap, 12.8" drop. 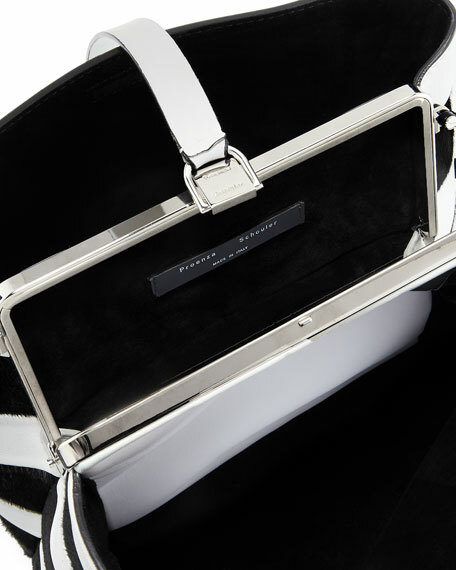 Hinged top with metal frame. 11.5"H x 10.5"W x 7"D.